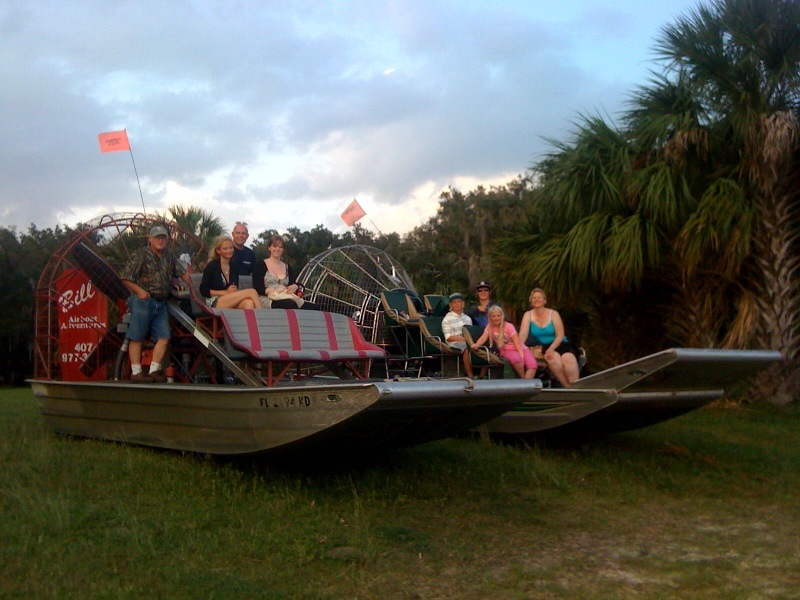 Tours take place on a modern, custom built 2009 Diamondback Airboat. She is designed to deliver a comfortable,smooth and dry ride. Powered by a Chevy Big Block, 425 H.P. 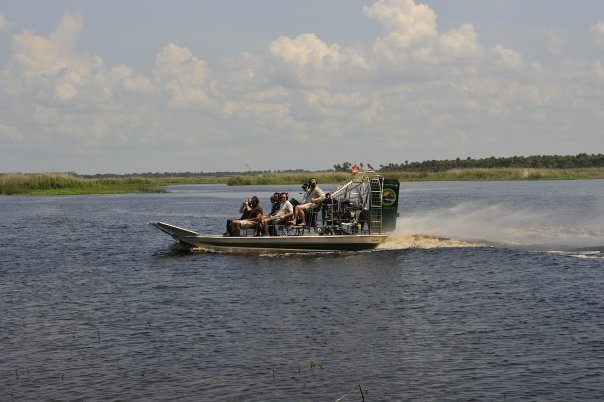 engine,her 4-Blade,state of the art prop provides the perfect combination of torque and speed necessary to cover the St. Johns Rivers diverse terrain. 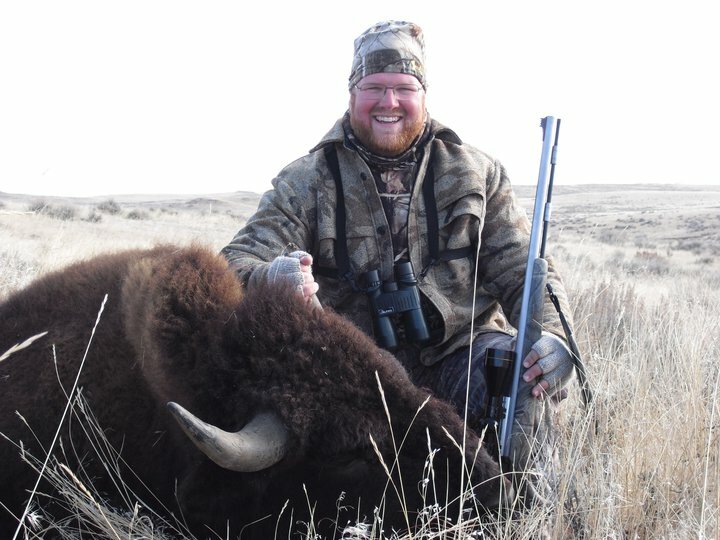 A perfect balance for tours and hunts. 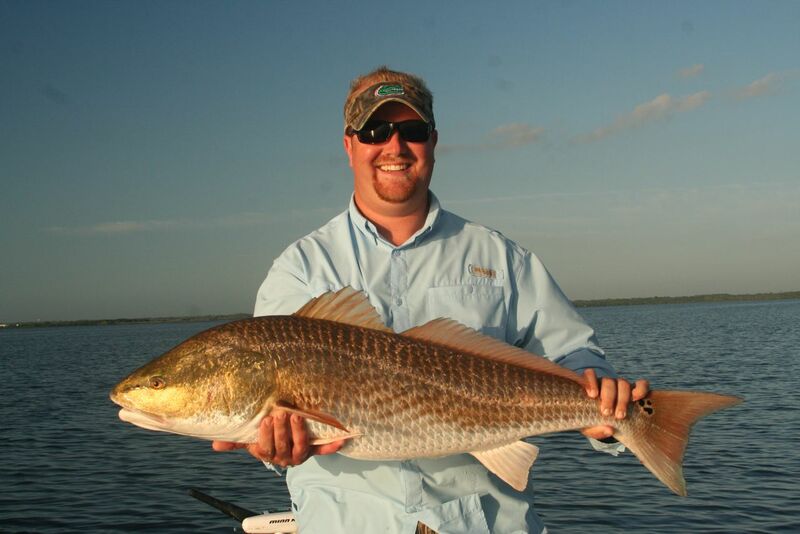 St. Johns River, he enjoys piloting his clients into a part of Florida that few people get to experience. 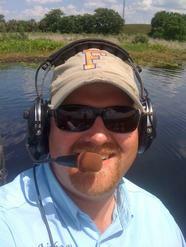 Whether gliding over a lily covered marsh with your family or cruising a moon-lit swamp on a gator hunt, Capt. Joshua will make your trip memorable and safe. 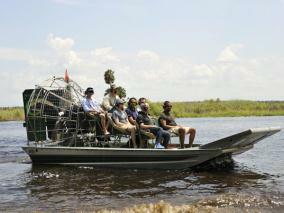 Our 20FT Woodsman Watercraft is custom fitted with a 6x6ft elevated deck. 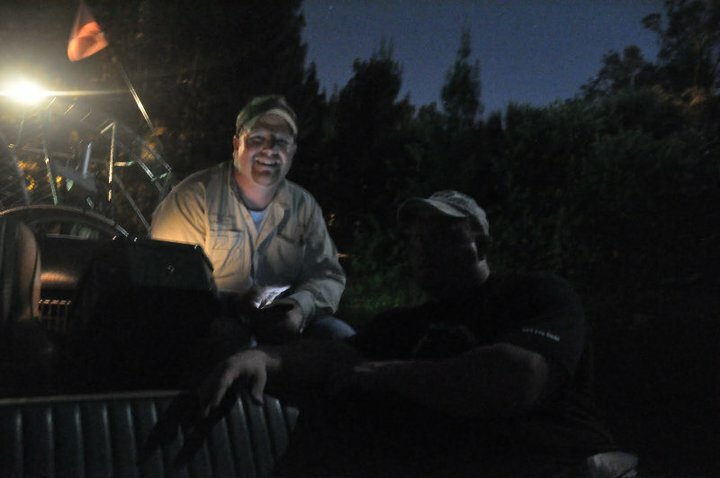 Night trips are lighted by 4, below deck, 400W HPS lights. 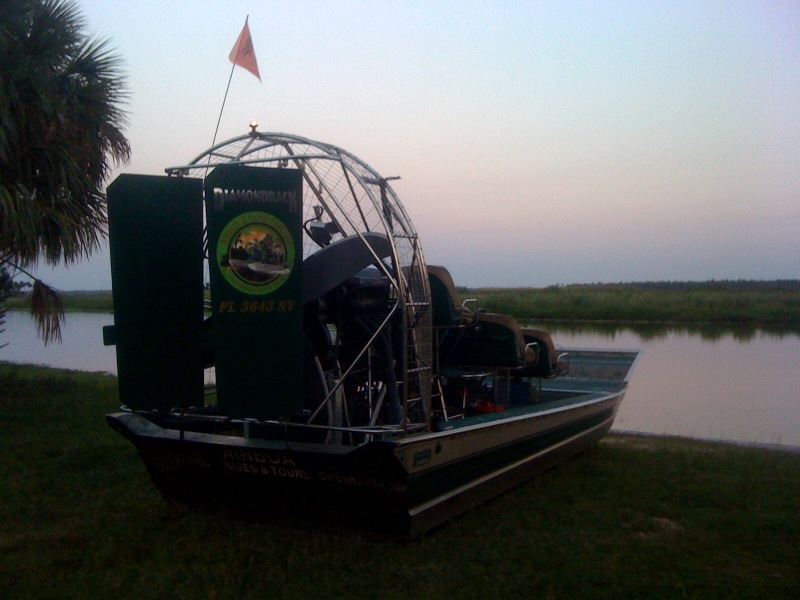 This rig allows us to navigate shallow and deep water alike. 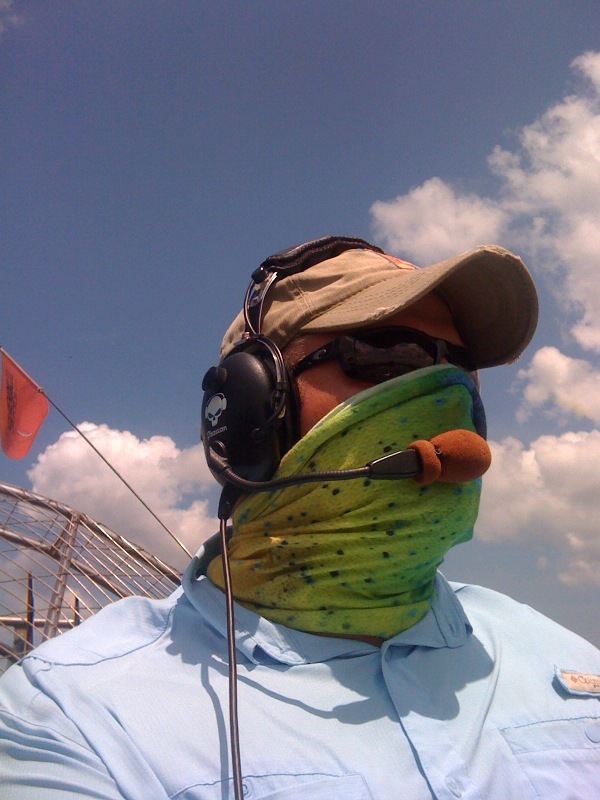 Giving you the best shooting opportunities available. 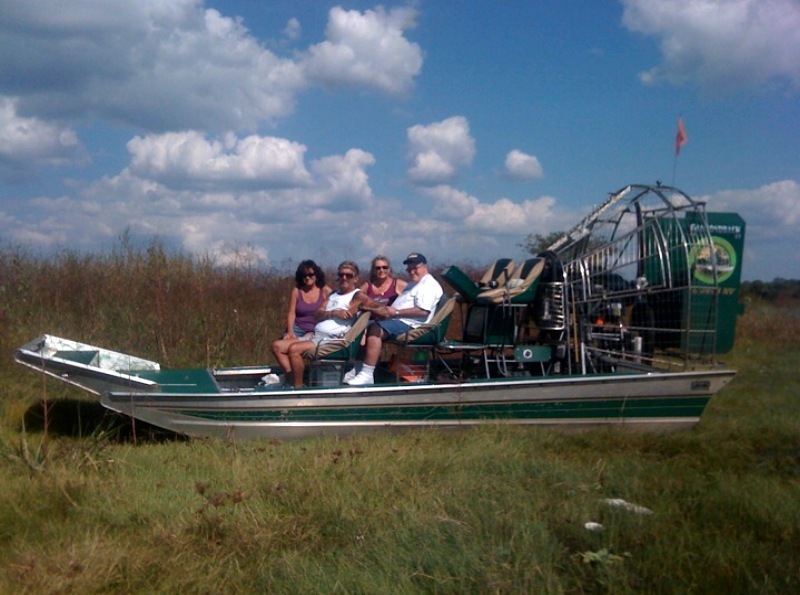 This boat also works well on some gator hunt areas.